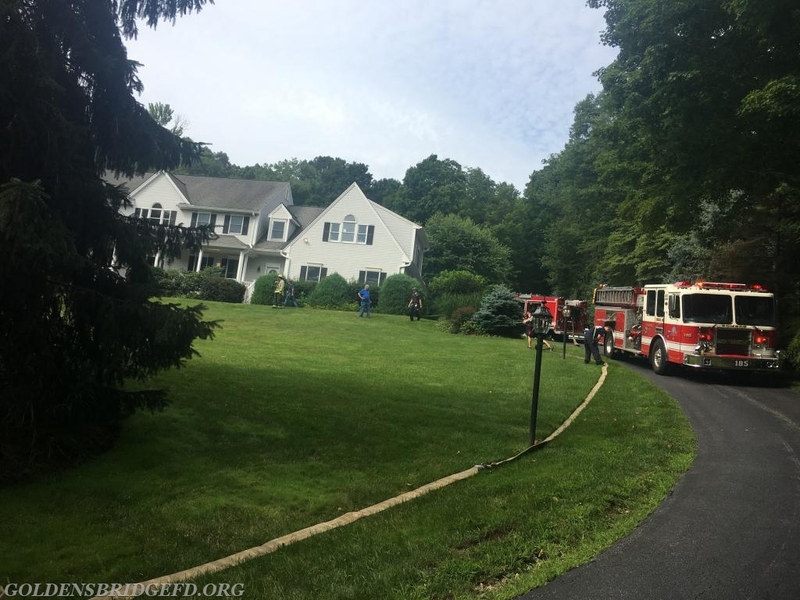 At approximately 9:30 on Monday morning, Somers Fire was dispatched to a reported structure fire on Sunderland Ln. Upon arrival of 2442, he had nothing showing at first but then smoke was discovered, a 10-75 working fire assignment was transmitted. This assignment brings many resources from surrounding departments . With the transmission of the 10-75, Tanker 1 from GBFD was requested to the scene. 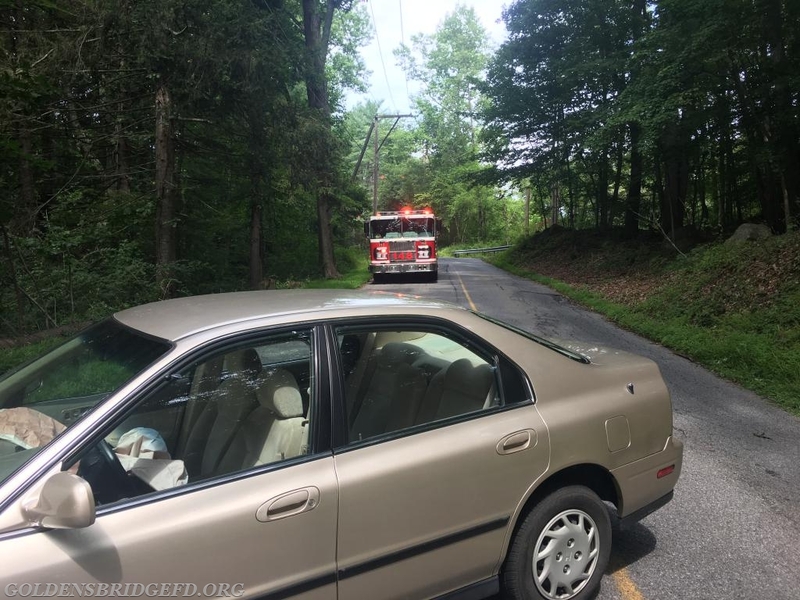 Within 2 minutes of dispatch, Car 2144 was responding, and Tanker 1 would be on the road shortly behind the captain. 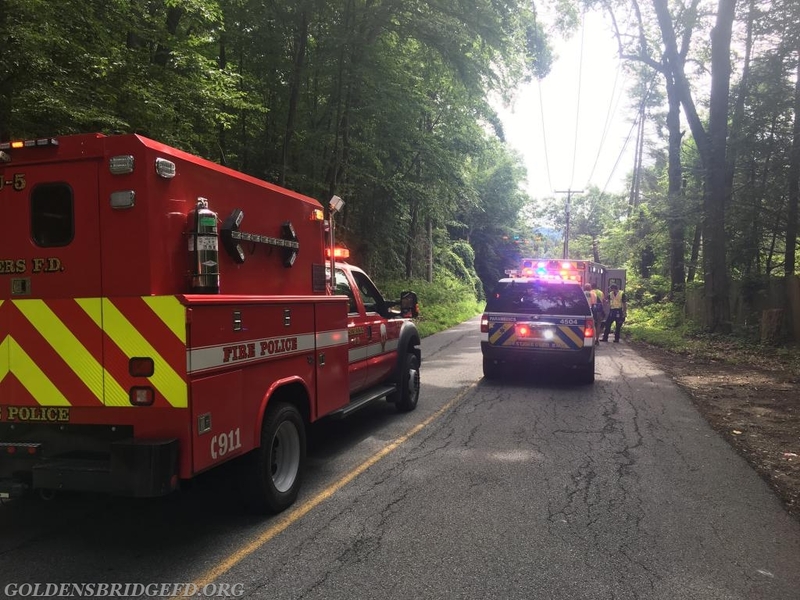 Other Golden's Bridge manpower that was on scene assisted Somers, Bedford Hills, Yorktown Heights, and Katonah manpower with fire ground operations. 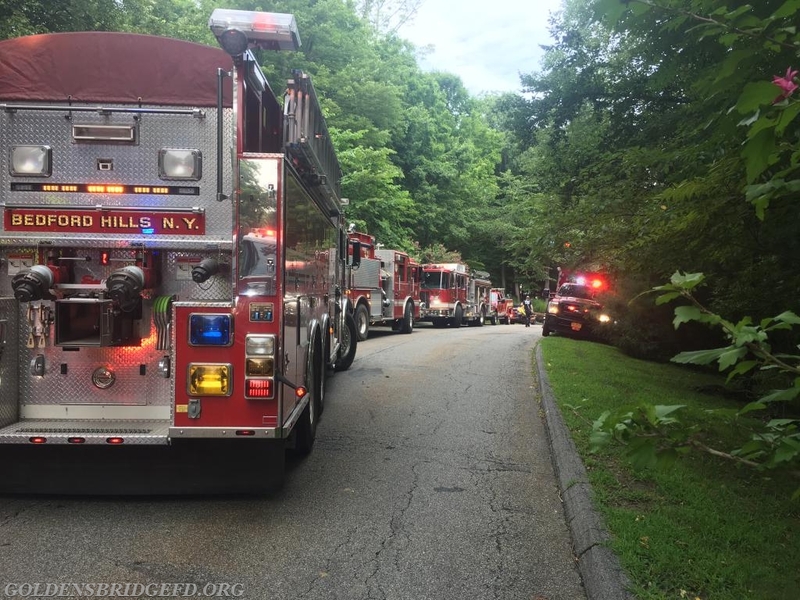 After the fire was knocked down and under control Somers Command had Golden's Bridge units relocate to Lincolndale Firehouse to stand by with Croton Falls. 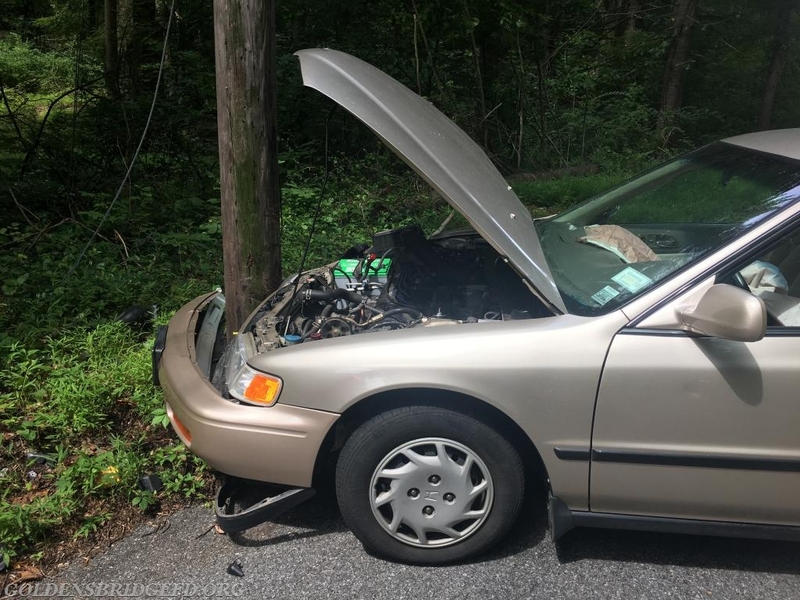 Shortly after arriving at Lincolndale Firehouse, GBFD & CFFD were dispatched to Car into a pole in the Greenbriar section of Somers. Somers EMS also responded as well as Somers Fire Utility 5 which was sent from the fire scene to assist. After clearing the scene of the Motor Vehicle Accident GBFD & CFFD were released by Somers command. 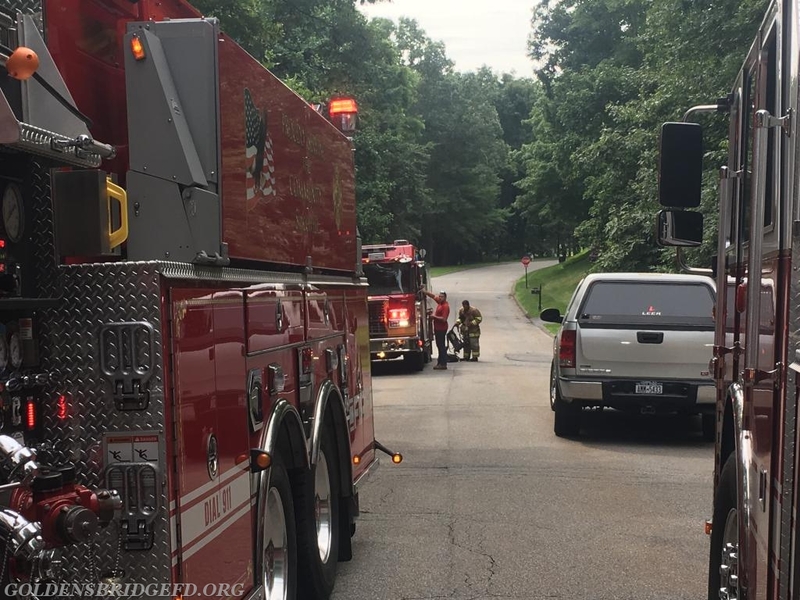 Units: Working Fire Assignment - GBFD - Car 2144, Car 2149, Tanker 1. 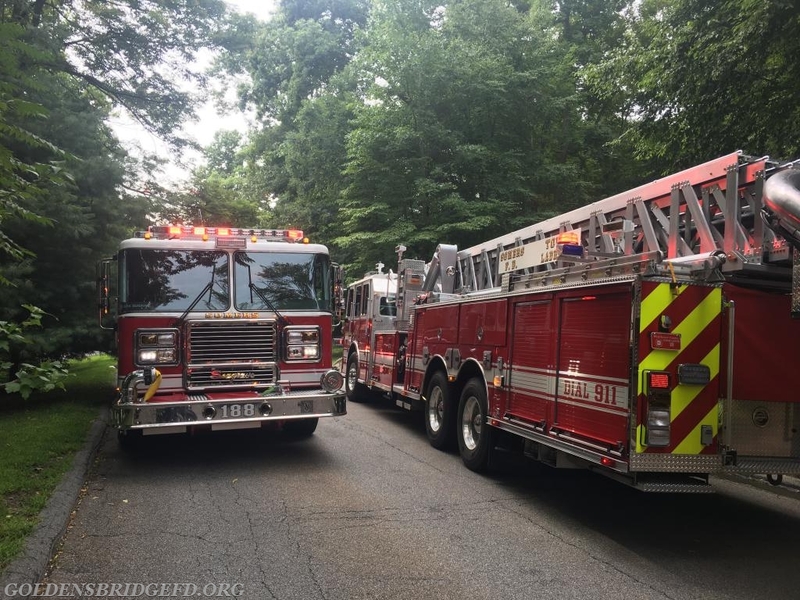 SFD - Car 2442 (IC), Engine 185, Engine 188, Tower Ladder 18, Mini- Attack 14, Utility 5. 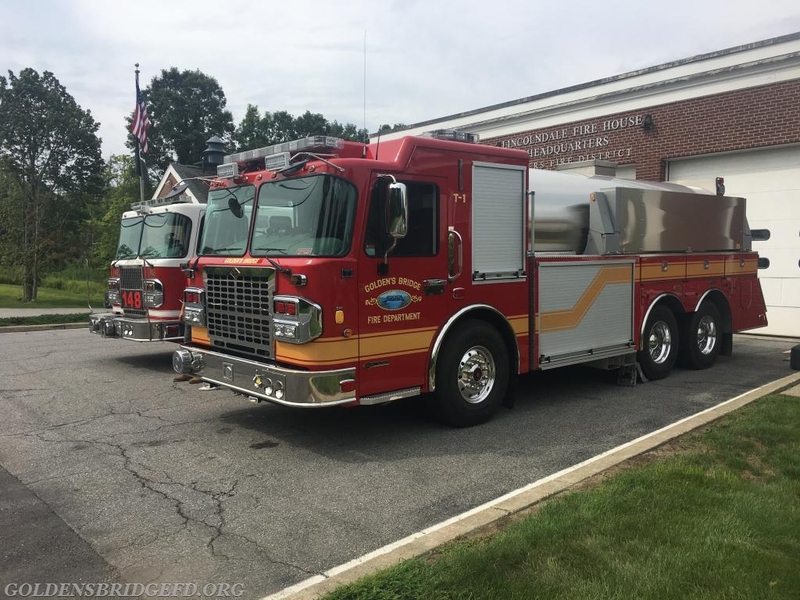 BHFD - Car 2032, Tanker 5. KFD - Tanker 6. YHFD - Engine 272, Utility 143 (FAST). WCDES - Battalion 16 Relocate - CFFD - Engine 148 MVA Assignment - GBFD - Car 2144 (IC), Car 2149, Tanker 1. CFFD - Engine 148. SFD - Utility 5. SFD EMS - 80B1. WEMS - 45M1. The house where the fire was. A look up the fire road showing many mutual aid companies. SFD Engine 188 & SFD Tower Ladder 18 on scene. GBFD Tanker 1 on scene of the fire. CFFD Engine 148 & GBFD Tanker 1 standing by at SFD HQ. A look at the vehicle involved with the pole stuck in the bumper. The vehicle involved and CFFD E148. SFD U5 & WEMS 45M1 on scene.